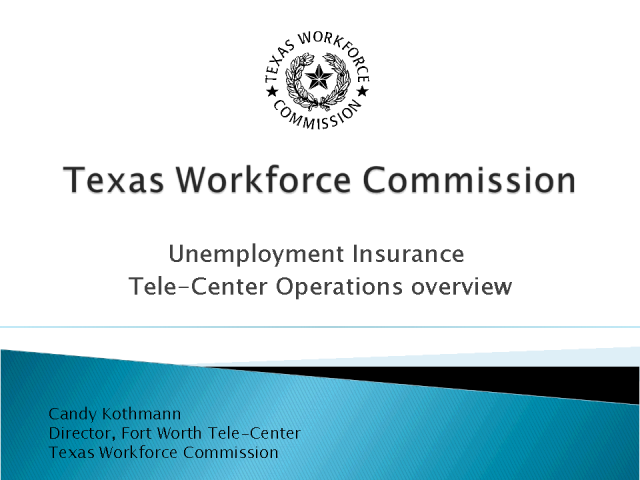 The Texas Workforce Commission (TWC) is a state agency whose purpose is to operate an integrated workforce development system and administer the unemployment compensation insurance program. TWC delivers Unemployment Insurance (UI) services exclusively in a call center network environment. The TWC UI call centers utilize a quality program they call "Optimized Performance" for measuring, evaluating and coaching their staff for improved performance. This showcase session will feature highlights of this quality program as well as insight into how the nation’s economic crises has impacted operations. Candy Kothmann, Director of the North Texas Tele-Center for TWC will be the presenter for this showcase session.